Diamond Plate Texture. An abbreviated wallet for the modern man who loathes to carry more than he needs. Comfortable in a front pocket, slightly larger than the size of your credit card. 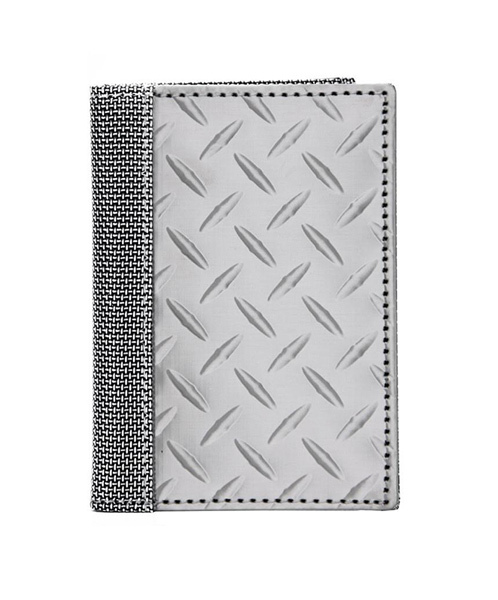 Silver ballistic nylon spine & interior accents.